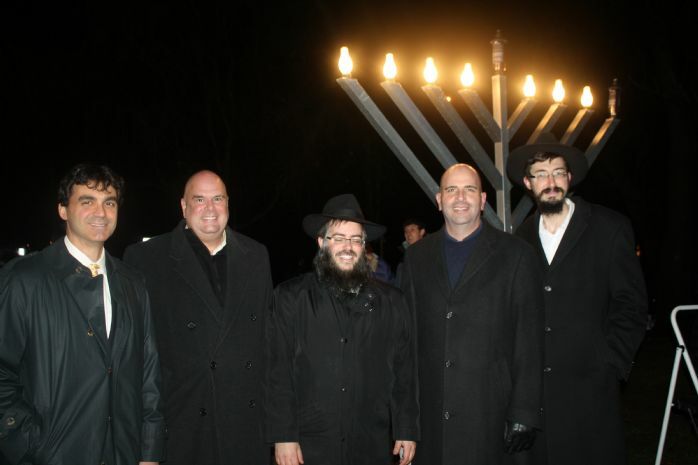 Chabad invites the entire community to celebrate the Festival of Lights at a public Menorah kindling ceremony. Public dignitaries and community leaders will attend the ceremony and will assist in kindling the giant Menorah. Following the kindling, there will be a program featuring music, delicious latkes and donuts, chocolate Chanukah Gelt for the children, dreidels and family fun.